Enter in the number of tickets you wish to purchase on the form below. Your order number and receipt will be sent through email when the order is completed. If you have any question please contact Blessed Sacrament at (727) 391-4060. All sales are final and there are no refunds. A 2.9% fee is added to the total purchase to cover the credit cards transaction fee costs. Please select the items below you wish to order and enter in the quantity for each item. To unselect a paticular item set the quantitiy to 0. Your tickets will be sent home with your child. If you have any questions please contact the BSCS office @391-4060. 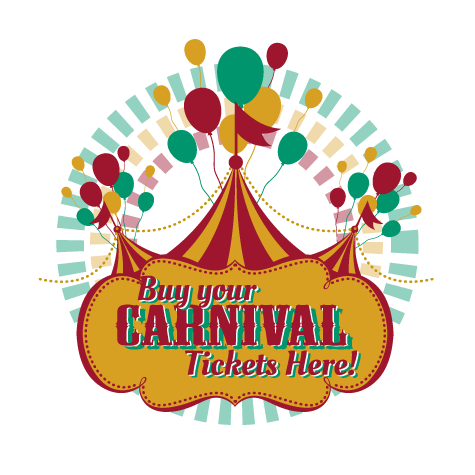 Pickup your tickets at the will call desk located at the entrance of the Big Tent at the carnival. Your tickets will be available at the start of the carnival. You will be asked for you order# and last name. Your order number will be sent to you through email when you complete the order. For any question please call us at 391-4060.